TV producers have been trying to touch different subjects in recent times to grab the attention of the viewers. However, the new show Pehredaar Piya Ki, on Sony TV has been receiving a lot of criticism since it went on air. The TV show has taken the issue of child marriage to another level, which has not gone down well with the audience. 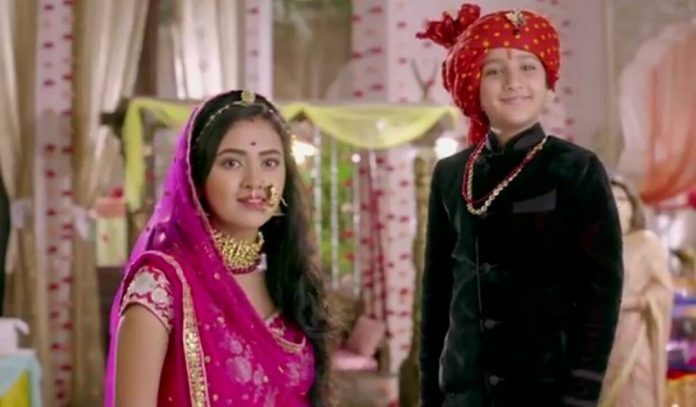 Pehredaar Piya Ki has shown romance between a 9 year old boy and a 19 year old girl and their marriage. The show has been receiving a lot of negative reviews since the time it went on air. The reason, behind it, is the weird plot which misleads the concept of child marriage. Things became even more awkward when the young boy was shown expressing his love for his wife at a young age. The limit was crossed when the makers showed episodes of their honeymoon and some uncomfortable dialogues like, “He is a kid, and we don’t know when he will be big enough to satisfy you.” The show is not just being criticized but the viewers have also started a campaign to ban the show. A petition has been filed on Change.org and is being addressed to the I&B Minister Smriti Irani, while demanding a ban on the show.